Cedar Falls won in dramatic fashion while Waterloo West and Waterloo Columbus posted impressive victories to kick off the boys’ dual tennis season Tuesday. Cedar Falls edged Cedar Rapids Xavier 5-4 with the help of tiebreaker singles victories by Siddhartha Kalala and Cedric Hassman and a key doubles victory from Hassman and freshman Neel Shah. Columbus cruised past Waverly-Shell Rock without dropping a set, 9-0, while West outplayed Iowa City High, 7-2. Wahawk freshman Will Klabunde came from behind to win his singles match and clinch the meet. In girls’ tennis action, Cedar Falls defeated Class 1A’s second-ranked Cedar Rapids Xavier 6-3. Sisters Krisha and Mira Keeran were strong at the top of the Tigers’ lineup while Elena Escalada and Vipsa Dodiya delivered a big doubles win in a third-set tiebreaker. Elsewhere, Waterloo Columbus kicked off its season with an 8-1 win over Waverly-Shell Rock and Iowa City High blanked Waterloo West, 9-0. Waterloo West and Waterloo Columbus posted season-opening boys’ soccer wins Tuesday while Cedar Falls edged Dubuque Hempstead in a girls’ matchup. West blanked Waverly-Shell Rock 3-0 as senior Edvin Rizvic scored a pair of goals and Dino Pilipovic had one. 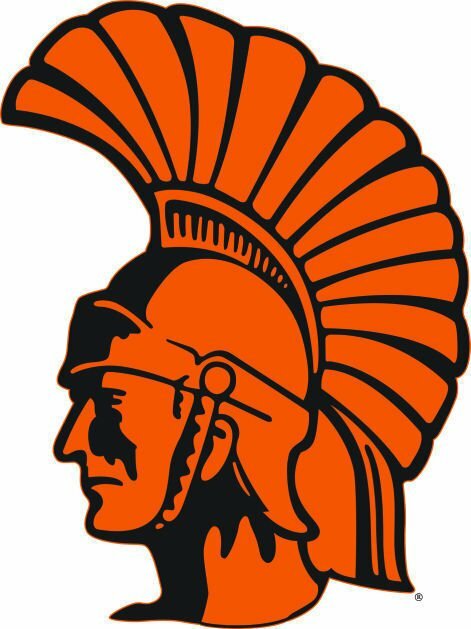 Rizvic and Carson Rowenhorst added assists while Riley Sloyer denied the only four shots Waverly-Shell Rock (0-2) was able to put on goal. Columbus (1-0) edged Gladbrook-Reinbeck 2-1, converting two of its eight shots on net while the Cedar Falls girls opened with a 1-0 thriller over Dubuque Hempstead. 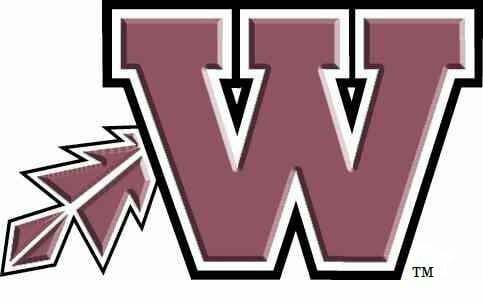 Waterloo West got a win from its 4x100 relay team and runner-up finishes from Maddy Solomon in the 100-meter dash and NaTracia Ceaser in the shotput as the Wahawks finished fourth at the Cedar Rapids Washington Invitational girls’ track and field meet Tuesday. Solomon, Madeline Grimm, Destiny Claus-Davis and Keeajah Scott ran 52.51 in the 4x1 for West. Singles — Siddhartha Kalala (CF) def. Brady Horstman 2-6, 6-2, 10-8, Wes Johnson (CRX) def. Ben Campbell 7-5, 7-5, Matthew Schmit (CRX) def. Pranav Chandra 6-1, 6-4, Cedric Hassman (CF) def. Hugh Carter 7-6, 3-6, 10-7, Neel Shah (CF) def. Ethan Shimak 6-1, 6-2, Vikash Ayyappan (CF) def. Trenton Link 6-3, 6-3. Doubles — Johnson/Schmit (CRX) def. Kalala/Campbell 6-4, 6-4, Horstman/Carter (CRX) def. Chandra/Ayyappan 6-1, 4-6, 10-6, Hassman/Shah (CF) def. Link/Declan Coe 6-2, 6-0. Singles — Daniel Buchanan (Col) def. Trey Angel 6-1, 6-3, Joseph Haag (Col) def. Ryan Sand 6-0, 6-1, Jon Dobson (Col) def. Sai Damireddi 6-0, 6-1, Dylan Mack (Col) def. Noah Jeppesen 6-1, 6-2, Alex Buser (Col) def. Dillon Folkerts 6-2, 6-3, Alex Feldmann (Col) def. Andrew Sand 6-2, 6-3. Doubles — Buchanan/Haag (Col) def. Angel/Jeppesen 6-1, 6-2, Dobson/Buser (Col) def. R. Sand/Damireddi 6-1, 6-2, Mack/Feldmann (Col) def. A. Sand/Folkerts 6-0, 6-1. Singles — Zach Heyerhoff (West) def. Diego Biggars 6-3, 3-6, 10-7, Andrew Christensen (West) def. Evan Hansen 6-0, 6-1, Nick Ritland (West) def. Ethan Snee 6-1, 6-1, J.P. Richmond (West) def. Jack Motto, 3-0, retired, Sean Phillips (ICH) def. Austin Tieskotter 7-5, 6-0, Will Klabunde (West) def. Anshul Gowda 6-4, 7-5. Doubles — Heyerhoff/Christensen (West) def. Biggars/Hansen 6-2, 6-3, Ritland/Richmond (West) def. Snee/Mal Nye 6-2, 6-3, Phillips/Gowda (ICH) def. Klabunde/Matthew Loes 6-1, 6-0. Singles — Taylor Hogan (Col) def. Olivia Phillips 6-2, 6-1, Sadie Hansen (W-SR) def. Bella Fain 6-3, 6-0, Elysse Trost (Col) def. Katie Wichman 6-0, 6-3, Grace Sullivan (Col) def. Molly Ranker 6-2, 6-3, Margaret Harn (Col) def. Shannon Swinton 6-1, 6-2, Bailey Sinnwell (Col) def. Brooke Willis 6-0, 6-0. Doubles — Hogan/Sullivan (Col) def. Phillips/Hansen 6-2, 6-3, Trost/Harn (Col) def. Wichman/Ranker 6-2, 6-2, Sinnwell/Chloe Butler (Col) def. Willis/Rachael Roose 0-6, 6-2, 10-8. Singles — Anna Carter (ICH) def. Meredith Eighmey 6-3, 6-1, Kelsey Law (ICH) def. Regan Davis 6-3, 6-2, Abigail McCormick (ICH) def. Ava Shepard 7-5, 6-2, Irene Samuelson (ICH) def. Alyson Hurley 6-4, 7-5, Evelyn Wolfe (ICH) def. Sarah Rizvic 6-1, 6-0, Sonya Liebig (ICH) def. Kaitlyn Meyers 6-1, 1-6, 10-6. Doubles — Law/Carter (ICH) def. Eighmey/Davis 7-5, 6-0, McCormick/Samuelson (ICH) def. Shepard/Hurley 6-3, 6-3, Wolfe/Dockery-Jackson (ICH) def. Rizvic/Meyers 6-2, 6-1. Singles — Krisha Keeran (CF) def. Miyako Coffey 6-0, 6-2, Mira Keeran (CF) def. Emily Jasper 6-0, 6-0, Maline Amjadi (CF) def. Sarah Abu-Nameh 6-2, 6-4, Maddie Abu-Nahem (CRX) def. Jamie Knox 6-4, 6-4, Courtney Carstensen (CRX) def. Elena Escalada 6-1, 6-4, Vipsa Dodiya (CF) def. Ally Burger 6-3, 6-2. Doubles — K. Keeran/M. Keeran (CF) def. Coffey/Jasper 6-1, 6-3, S. Abu-Nameh/M. Abu-Nameh (CRX) def. Amjadi/Knox 6-2, 7-5, Escalada/Dodiya (CF) def. Carstensen/Burger 6-1, 4-6, 12-10. Team standings — 1. Linn-Mar 173, 2. Cedar Rapids Prairie 153, 3. Cedar Rapids Kennedy 94, 4. Waterloo West 64, 5. Muscatine 44, 6. Cedar Rapids Xavier 41, 7. Cedar Rapids Washington 20. 100 — Hannah Stuelke (CRW) 12.85. 200 — Jill Bennett (Linn-Mar) 26.65. 400 — Dimia Burrell (Linn-Mar) 1:01.21. 800 — Gabby Cortez (CRP) 2:25.42. 1,500 — Chloe Skidmore (Linn-Mar) 5:05.16. 3,000 — Micah Poellet (Linn-Mar) 10:42.76. 100 hurdles — Kajsa Gerkens (CRK) 15.51. 400 hurdles — Lauren Dirth (Musc) 1:13.28. 4x100 relay — Waterloo West (Maddy Solomon, Madeline Grimm, Destiny Claus-Davis, Keeajah Scott) 52.51. 4x200 relay — Linn-Mar 1:54.52. 4x400 relay — Cedar Rapids Prairie 4:10.3. 4x800 relay — Cedar Rapids Prairie 10:09.39, Sprint medley relay — Linn-Mar 1:53.36. Distance medley relay — Linn-Mar 4:28.91. Shuttle hurdle relay — Cedar Rapids Prairie 1:11.55. High jump — Taylor Peterson (CRP) 5-0. Long jump — Burrell (Linn-Mar) 17-6. Shot put — Jeany Toingar (Linn-Mar) 35-7. Discus — Kaitlyn Gammon (CRP) 103-1. Singles -- Siddhartha Kalala (CF) def. Brady Horstman 2-6, 6-2, 10-8, Wes Johnson (CRX) def. Ben Campbell 7-5, 7-5, Matthew Schmit (CRX) def. Pranav Chandra 6-1, 6-4, Cedric Hassman (CF) def. Hugh Carter 7-6, 3-6, 10-7, Neel Shah (CF) def. Ethan Shimak 6-1, 6-2, Vikash Ayyappan (CF) def. Trenton Link 6-3, 6-3. Doubles -- Johnson/Schmit (CRX) def. Kalala/Campbell 6-4, 6-4, Horstman/Carter (CRX) def. Chandra/Ayyappan 6-1, 4-6, 10-6, Hassman/Shah (CF) def. Link/Declan Coe 6-2, 6-0. Singles -- Daniel Buchanan (Col) def. Trey Angel 6-1, 6-3, Joseph Haag (Col) def. Ryan Sand 6-0, 6-1, Jon Dobson (Col) def. Sai Damireddi 6-0, 6-1, Dylan Mack (Col) def. Noah Jeppesen 6-1, 6-2, Alex Buser (Col) def. Dillon Folkerts 6-2, 6-3, Alex Feldmann (Col) def. Andrew Sand 6-2, 6-3. Doubles -- Buchanan/Haag (Col) def. Angel/Jeppesen 6-1, 6-2, Dobson/Buser (Col) def. R. Sand/Damireddi 6-1, 6-2, Mack/Feldmann (Col) def. A. Sand/Folkerts 6-0, 6-1. Singles -- Zach Heyerhoff (West) def. Diego Biggars 6-3, 3-6, 10-7, Andrew Christensen (West) def. Evan Hansen 6-0, 6-1, Nick Ritland (West) def. Ethan Snee 6-1, 6-1, J.P. Richmond (West) def. Jack Motto, 3-0, retired, Sean Phillips (ICH) def. Austin Tieskotter 7-5, 6-0, Will Klabunde (West) def. Anshul Gowda 6-4, 7-5. Doubles -- Heyerhoff/Christensen (West) def. Biggars/Hansen 6-2, 6-3, Ritland/Richmond (West) def. Snee/Mal Nye 6-2, 6-3, Phillips/Gowda (ICH) def. Klabunde/Matthew Loes 6-1, 6-0. Singles -- Taylor Hogan (Col) def. Olivia Phillips 6-2, 6-1, Sadie Hansen (W-SR) def. Bella Fain 6-3, 6-0, Elysse Trost (Col) def. Katie Wichman 6-0, 6-3, Grace Sullivan (Col) def. Molly Ranker 6-2, 6-3, Margaret Harn (Col) def. Shannon Swinton 6-1, 6-2, Bailey Sinnwell (Col) def. Brooke Willis 6-0, 6-0. Doubles -- Hogan/Sullivan (Col) def. Phillips/Hansen 6-2, 6-3, Trost/Harn (Col) def. Wichman/Ranker 6-2, 6-2, Sinnwell/Chloe Butler (Col) def. Willis/Rachael Roose 0-6, 6-2, 10-8. Singles -- Anna Carter (ICH) def. Meredith Eighmey 6-3, 6-1, Kelsey Law (ICH) def. Regan Davis 6-3, 6-2, Abigail McCormick (ICH) def. Ava Shepard 7-5, 6-2, Irene Samuelson (ICH) def. Alyson Hurley 6-4, 7-5, Evelyn Wolfe (ICH) def. Sarah Rizvic 6-1, 6-0, Sonya Liebig (ICH) def. Kaitlyn Meyers 6-1, 1-6, 10-6. Doubles -- Law/Carter (ICH) def. Eighmey/Davis 7-5, 6-0, McCormick/Samuelson (ICH) def. Shepard/Hurley 6-3, 6-3, Wolfe/Dockery-Jackson (ICH) def. Rizvic/Meyers 6-2, 6-1. Singles -- Krisha Keeran (CF) def. Miyako Coffey 6-0, 6-2, Mira Keeran (CF) def. Emily Jasper 6-0, 6-0, Maline Amjadi (CF) def. Sarah Abu-Nameh 6-2, 6-4, Maddie Abu-Nahem (CRX) def. Jamie Knox 6-4, 6-4, Courtney Carstensen (CRX) def. Elena Escalada 6-1, 6-4, Vipsa Dodiya (CF) def. Ally Burger 6-3, 6-2. Doubles -- K. Keeran/M. Keeran (CF) def. Coffey/Jasper 6-1, 6-3, S. Abu-Nameh/M. Abu-Nameh (CRX) def. Amjadi/Knox 6-2, 7-5, Escalada/Dodiya (CF) def. Carstensen/Burger 6-1, 4-6, 12-10. Team standings -- 1. Linn-Mar 173, 2. Cedar Rapids Prairie 153, 3. Cedar Rapids Kennedy 94, 4. Waterloo West 64, 5. Muscatine 44, 6. Cedar Rapids Xavier 41, 7. Cedar Rapids Washington 20. 100 -- Hannah Stuelke (CRW) 12.85. 200 -- Jill Bennett (Linn-Mar) 26.65. 400 -- Dimia Burrell (Linn-Mar) 1:01.21. 800 -- Gabby Cortez (CRP) 2:25.42. 1,500 -- Chloe Skidmore (Linn-Mar) 5:05.16. 3,000 -- Micah Poellet (Linn-Mar) 10:42.76. 100 hurdles -- Kajsa Gerkens (CRK) 15.51. 400 hurdles -- Lauren Dirth (Musc) 1:13.28. 4x100 relay -- Waterloo West (Maddy Solomon, Madeline Grimm, Destiny Claus-Davis, Keeajah Scott) 52.51. 4x200 relay -- Linn-Mar 1:54.52. 4x400 relay -- Cedar Rapids Prairie 4:10.3. 4x800 relay -- Cedar Rapids Prairie 10:09.39, Sprint medley relay -- Linn-Mar 1:53.36. Distance medley relay -- Linn-Mar 4:28.91. Shuttle hurdle relay -- Cedar Rapids Prairie 1:11.55. High jump -- Taylor Peterson (CRP) 5-0. Long jump -- Burrell (Linn-Mar) 17-6. Shot put -- Jeany Toingar (Linn-Mar) 35-7. Discus -- Kaitlyn Gammon (CRP) 103-1.